CBL landscapes (CBL)’s mission is to provide comprehensive landscape design services that fulfill the needs of our clients. Each of our projects are approached with a passion for the art of design, quality and the environment. We are committed to creating sustainable ‘green’ landscapes that are beautiful, functional, as well as being tailored specifically to the taste and personality of each of our clients. Our company’s success is predicated on our attention to detail, excellent client service and unique creative vision. CBL landscapes, as a company has a diverse background with extensive education and work experience in the fields of architecture, ecology, and plant horticulture. We have successfully completed a wide variety of landscape projects of varying scope and character. 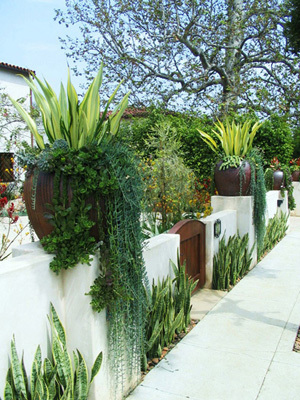 We continually strive to satisfy the design aspirations of our customers by creating unique artistic exterior spaces that are environmentally sustainable. It is our hope that through this effort we are 1) helping our customers to find happiness while enjoying their new garden retreats; and 2) helping the environment by creating water wise gardens that use organic fertilizers, employ non-toxic pest control programs, as well as by providing habitat for the birds and the bees. Copyright © 2012 CBL Landscapes | All Rights Reserved.